Growing up in eastern North America, autumn meant colourful leaves, fading to brown, bare branches. Green fields gave way to gold, then brown. So it was a lovely surprise to find when we first moved here that in Canterbury, the opposite is true. Summer has its green bits, but because there is little summer rainfall, the summer landscape is predominantly brown. But with autumn come cooler temperatures and more rain. Grass begins to grow again. Plants that were dormant through summer sprout new leaves. Autumn is a time of lush green—a time of life, not death. For certain, the days are shortening, and the growth won’t last. Soon there won’t be enough sunlight hours to fuel plant growth. But winters are mild, and the green will remain all the way through until spring. 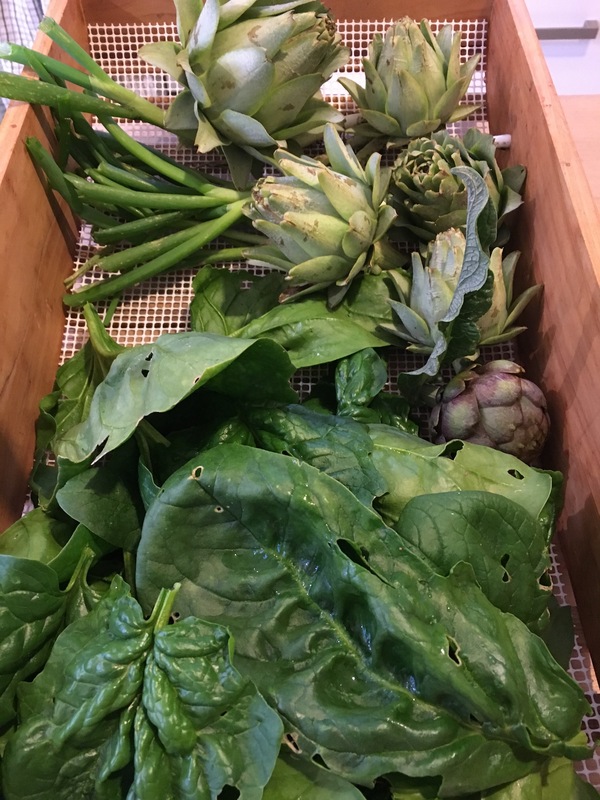 Today I picked a basket of autumn crops for dinner—all in shades of green.